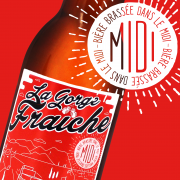 In the beautiful region of the South of France, a few kilometers from the Mediterranean Sea, a young start-up is looking for a master brewer for the launch of its new production site. Today the company is leading the market in his sector. The new brevery is based along the Canal du Midi, in an old industrial area and wholesales of wine under renovation. Fully renovated in an industrial style, the building is an ancient sugar refinery dated back from the second world war. We are seeking the knowledge of a foreign master brewer in order to extend our range with new trend of beer. The mission consists to develop new recipes and start the new brew operations in cooperation with our brewer. Your mission will be to handle day-to-day operations of brewhouse and respect the process. The principals tasks are to manage brewing and packaging processes. You are fully aware to cleaning and check up on quality protocols. If you have imagination, expertise and vision, we want to work with you. excited and motivated to be in an abroad experience.